Officially, Vietnam is an atheist state, but a significant section of the population practises traditional religions; some adhere to Buddhism and there are quite a few Catholics left over from the French occupation. 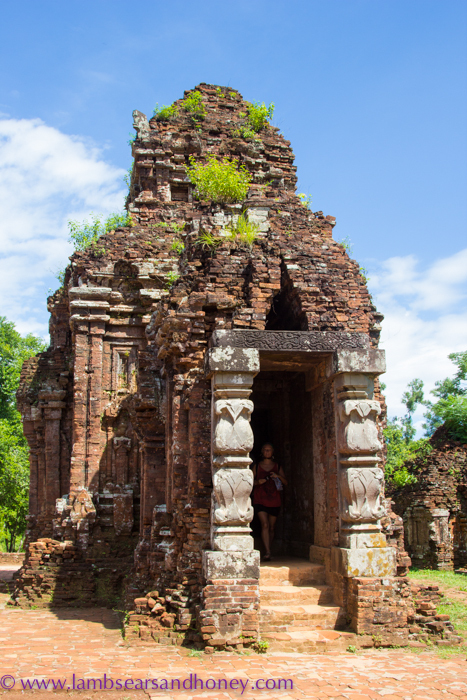 However, tucked away not far from Hoi An, is My Son, a UNESCO World Heritage site, once the location of the ancient Hindu Champa civilisation and its majestic complex of temples dedicated to Lord Shiva and Lord Vishnu. 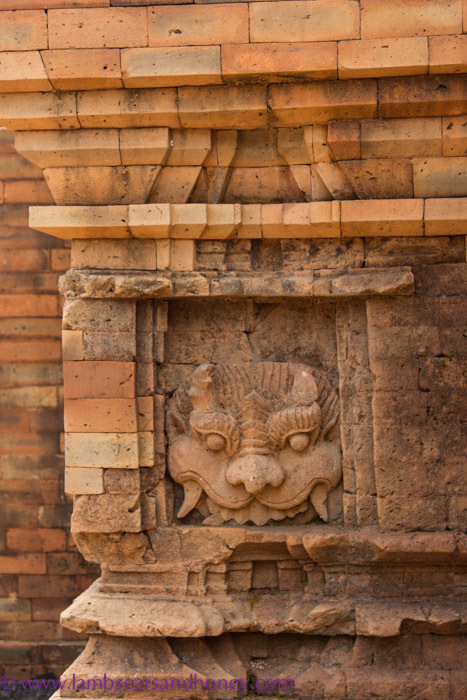 Originally the religious and political capital of the Champa kingdom, the complex was built around the third or fourth century AD, and traces its spiritual roots back to Indian Hinduism. The city was forgotten with the passing of the Cham reign and for centuries sat hidden in the jungle. Consisting of 70 ruins over 57ha, the site was rediscovered and renovated by the French in the late 1890s, but was subsequently heavily bombed during the Vietnam War, when it was found to be a hiding place for the Viet Cong. Parts of the site are gradually being reconstructed using the traditional red bricks of the original work, although some of the very early work looks clumsy. Under government supervision, more recent reconstruction and renovation work is now of a high standard, with de-mining of the area being an early priority and still an important consideration for the wider areas around the site. The renovations also face less alarming, but no less important, challenges. Modern artisans are having difficulties replicating the unique properties of the construction techniques and are struggling to resolve questions around the firing of the bricks. The brick courses of these ancient buildings seem to be held together with just millimetres of incredibly strong mortar – something else which has yet to be successfully reproduced. My Son is an extraordinary example of an ancient culture – and one which kept written records. Much was recorded on perishable materials, but a great deal has been preserved on stone slabs or pillars and these have been a precious source of information for scholars and archaeologists.